I am a somewhat educated Criterion dork, with a History and Film Studies bachelor's degree and plenty of self-education over the years. My tastes are all over the map. Probably my favorite is 1930s French Poetic Realism, but I like everything from noir, to animation, to horror, westerns, and modern film. Usually I prefer film that challenges and requires something of the viewer. Jonathan Laubinber and Scott Nye join Aaron to discuss Sundance 2018, the Olympics box set, and various other topics from Criterion and FilmStruck. Dave Eves and Jason Beamish join to talk about the newsletter Clue, speculate on Bergman100 and get into G.W. Pabst. 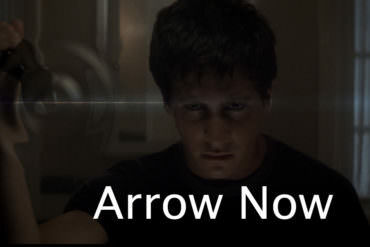 Aaron is joined by RJ Tougas and Tim Leggoe to discuss Arrow Films from the perspective of three different countries. Mark Hurne and Matt Gasteier return to the podcast to dig into 2018 Criterion announcements and other various news topics. Aaron is joined by Cole and Ericca from the Magic Lantern Podcast for the first episode of 2018. Aaron and Mark Hurne celebrate the year and look forward to 2018. Aaron is joined by Chris and Justin from Casually Criterion to discuss the March 2018 announcements, Stanley Kubrick’s Barry Lyndon, and more. After a short break, Aaron returns with Will Remmers to talk about potential Criterion titles, Orson Welles’ Othello and some opera related topics. Matt Gasteier returns to catch up on recent Criterion news and discuss some foodie film in anticipation of Thanksgiving. Aaron is joined by Jonathan Laubinger and Jordan Essoe to discuss The Piano Teacher and the latest in Criterion. Keith Enright and Mark Hurne return to the podcast and we get into a big Criterion news week. Doug and Jackie are back, which means we are talking more David Lynch. Aaron is joined by Mark Hurne and Jason Michael to catch up on a month’s worth of Criterion stuff, including January 2018 announcements. The first episode where we explore the Arrow UK and USA DVD and Blu-Ray label. Aaron is joined by David Blakeslee and Matt Gasteier as they take a detour from Criterion to talk about art music in general. Max and Trevor join Aaron to dig into the December releases and run through a busy period of news.